National and international companies ranging from small specialty firms to major manufacturers showed their wares at the Wedding & Portrait Photography Conference + Expo (WPPI) in Las Vegas in early February. Attendance was also strong at WPPI 2018. Showgoers from various parts of the world took in the numerous products and services in the exhibit hall. 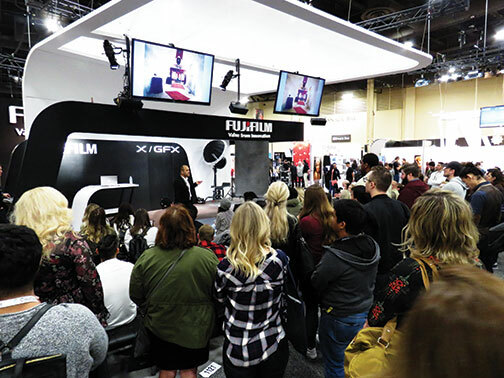 In addition, many of them participated in the wide selection of classes and educational programs that are always so popular at WPPI. This year’s show, staged at Mandalay Bay, was more conveniently located than last year, which was at the Las Vegas Convention Center. All the exhibitors were in one large hall, and the numerous classes and educational sessions were just one floor below. Moreover, attendees appreciated that the exhibit space was just at the other end of the hallway from the food court. The show is scheduled to stay at Mandalay Bay at least through 2020. One of the nice things about a show like WPPI is that it’s manageable. Even though the showroom floor can get crowded—unlike shows like CES that can be overwhelming—it is possible to navigate through the isles and actually see all (or almost all) the exhibits. Attendees can also easily play with much of the gear and make contact with many of the exhibitors whose offerings might be of interest. That just isn’t possible at expansive shows like CES, where there simply isn’t time to see everything or meet with everyone you might like to. With massive shows like that, you always have the feeling you have missed something important. 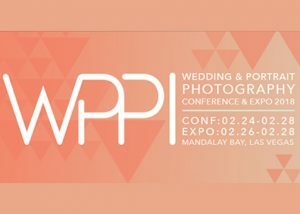 And, of course, WPPI is totally photo-imaging related. 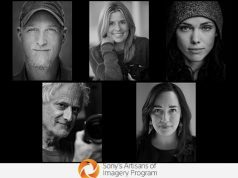 One reason photographers like WPPI is that it’s one of the best venues to see what’s new in their craft. Certainly, the Internet makes it quick and easy to keep up with product announcements and find out what’s coming up. However, as showgoers repeatedly pointed out, nothing beats getting your hands on equipment and playing with it, even if it’s only briefly. Many companies held their own education presentations on the show floor. Showgoers also liked the idea of getting their questions answered by trained technicians about the products and services they are interested in, while those questions were still fresh in mind. At WPPI 2018, attendees weren’t disappointed. 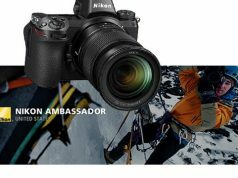 There were major product announcements in almost all camera equipment categories, including new bodies, lenses and lighting systems. Mirrorless cameras are one of the hottest categories in photography today. I know a number of professional photographers who have added mirrorless bodies to their arsenal as backups. I even know a couple of shooters who come in with big equipment to impress their clients but then rely on mirrorless cameras to capture the scenes. Sony has been blazing the trail with its mirrorless models. 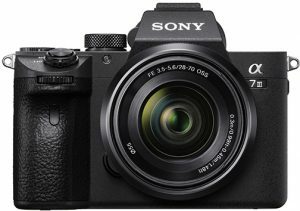 The latest introduction in the Alpha line is the 24.2 megapixel a7 III It’s designed around a full-frame Exmor R CMOS sensor with advanced Bionz X image processing. Its standard ISO range of 100–51,200 is expandable one stop down and two stops up to 50–204,800. The camera is built for high-speed, high-resolution shooting. It can take sequential images at up to 10 frames per second as well as capture video at 4K resolution. To ensure optimum image quality, the a7 III includes a five-axis SteadyShot image stabilization system. In addition, its 15-stop dynamic range provides smooth gradations from bright highlights to deep shadows. Also employed are very sophisticated focusing capabilities, including 693 phase-detection AF points and 425 contrast AF points. Furthermore, probably the most important elements that have to be in focus in any portrait or people shots are the eyes. And the new model includes eye AF capabilities, to make sure the eyes are sharp. The a7 III has a suggested retail price of $1,999 body only. WPPI was also the first opportunity for many pro photographers to play with Panasonic’s new 10.2MP mirrorless camera, the Lumix GH5S. It was announced (and covered) at CES at the beginning of the year. 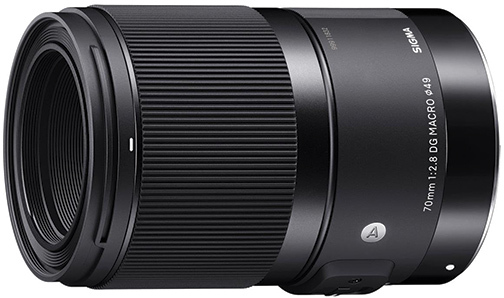 As far as lenses, Sigma made several announcements at the show, including seven interchangeable Art lenses for Sony full-frame E-mount cameras. Two are now available: the 70mm f/2.8 DG Macro | Art and the 105mm f/1.4 DG HSM | Art. The 70mm lens is constructed with 13 elements in 10 groups. It has an angle of view of 34.3º, a minimum focusing distance of 10.2 and a maximum magnification ratio of 1:1. It features the company’s focus-by-wire system for very precise focusing. In addition, the lens is compatible with Sigma’s new teleconverters. The TC-1401 teleconverter makes it possible for the lens to be used as a 98mm f/4 mid-telephoto macro with full autofocus functionality. With the TC-2001 teleconverter, it functions as a 140mm f/5.6 mid-telephoto macro with manual focus. It’s also compatible with Canon’s Lens Aberration Correction system. Pricing hasn’t been announced. Tamron also made some lens announcements, including the 70–210mm f/4 Di VC USD compact telephoto zoom lens for full-frame DSLRs. The lens (model A034) is engineered to provide superb optical performance throughout the entire zoom range and features a maximum magnification ratio of 1:3.1. Due to its internal zoom mechanism, the physical length of the lens does not change during zooming. And “zoom creep” is said to be impossible because of that. It also has dual MPUs (micro-processing unit) dedicated to VC (vibration compensation) processing and lens system control. SRP: $799. Another product category that’s particularly strong is lighting. At WPPI, there were new studio light setups, portable professional gear, on-camera strobes and a wide selection of continuous LED options for still and video. On-camera lights are getting much more sophisticated. Canon’s Speedlite 470EX- AI with Auto Intelligent Bounce technology is a good example. One way photographers soften on-camera light is through bounce. They’ll use anything to bounce the light off of—from a small card attached to the unit to walls or ceilings. Ceiling bounce often works best for a soft, natural effect for portraiture. But the quality of light depends on the bounce angle. You may get an occasional pleasing shot. However, as photographers and subjects move during a shoot, bounce light values change, sometimes drastically. This new Speedlite automates the process of retaining accurate light values by automatically adjusting the bounce angles. When shooting in full auto mode, the 470 fires a preflash at the subject to calculate the distance from the flash. The flash head then automatically points upward and fires again to determine the ceiling height (effective to 23 feet). Then the flash calculates the optimal bounce angle and exposure value and positions itself to provide the optimum amount and quality of illumination to light the subject effectively. It sounds involved but is actually quite simple. In fact, the 470EX-AI is marketed to entry-level photographers who might be intimidated by external flash. Once the bounce value has been determined, the unit remembers it. 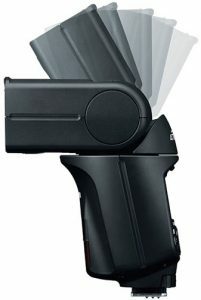 As a result, when the photographer moves, even changing between vertical and horizontal shooting orientation, the flash head automatically rotates to ensure exposure values remain consistent. The unit is fully compatible with Type A EOS cameras and provides coverage for lenses as wide as 14mm. SRP: $399.99. 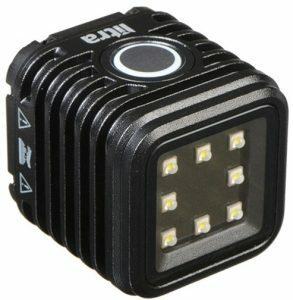 One little lighting unit I was particularly impressed with was the LitraTorch 800 Lumen from Litra. At 1.5×1.5×1.65 inches in size and 3.17 ounces in weight, it is one of the smallest, lightest pieces of professional lighting gear that I’ve seen. It’s also one of the most versatile. It generates flicker-free daylight output color balanced at 5700K. Designed with 2,200 lumen LEDs, it puts out a very smooth blended beam with no center hot spot. In addition, its 80º beam angle covers all the way to a GoPro camera’s wide-angle capture capability. Moreover, one-touch operation makes using the little cube simple. It is also quite rugged, meeting 810G military specs, and it’s waterproof down to 30 feet. Also, it has a wide range of mounting options, including fitting into a GoPro Session’s frame as well as embedded magnet mounting. The unit has a battery life of seven hours in strobe mode. It also lasts anywhere from 35 minutes to four hours (depending on output power, which ranges from 100 lm to 2200 lm) in continuous mode. It’s rechargeable through a Micro USB port and can also connect to external power. SRP: $79.99. photographer might need to clean a sensor, which, LensPen says, takes less than a minute. 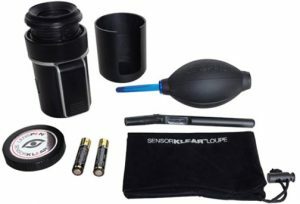 It includes a squeezable air bulb to get loose dust off, a proprietary cleaning pen and a large LED-lit loupe that fits over the lens mount. With the loupe, it’s possible to see exactly what needs to be cleaned. At $99, it’s a cost-effective way to keep sensors clean. Software programs, both business-oriented and creative packages, are always of interest to professional photographers as well as videographers. And the selection at WPPI was extensive. One program that got a lot of attention was ON1 Photo RAW 2018.1. It’s billed as the best alternative to Adobe Photoshop and Lightroom—and as the only software designed by photographers for photographers. One of its selling points is that photographers can own the program, not just rent it as they do with Photoshop. The full-featured program integrates all the capabilities required for effective workflow. 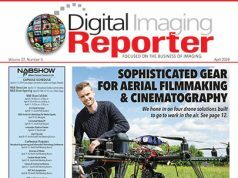 Features include sophisticated image-editing tools, a large assortment of effects, extended HDR and fast image management. Furthermore, in order to continue program development, ON1 has set up the Photo RAW Project, which offers the opportunity for photographers to provide input for further development. SRP: $119.99. Animoto also had an interesting cloud-based video creation program that generates creative videos designed for social media upload from video clips, photos and music. It’s priced from $8 to $34 per month, depending upon the version. Bob Davis demonstrates Canon’s new Speedlite 470EX- AI. Many of the companies on the showroom floor also had education sessions in their mini theaters and demonstration areas. Chicago-based Bob Davis (one of Canon’s Explorers of Light photographers), for example, gave a detailed demo of the company’s new flash unit. 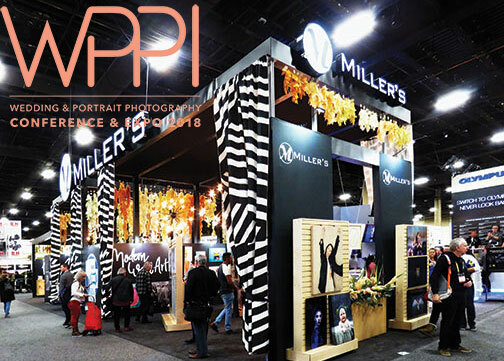 All in all, the 2018 WPPI was a strong success. As it was coming to a close, plans for next year were already getting underway. The 2019 WPPI Conference & Expo will take place at the Mandalay Bay in Las Vegas, Nevada, in February 2019.